Rant of the Week: Jon Stewart – Wait, Whose Side Are We On Again? Wait, Whose Side Are We On Again? Tags: Jon Stewart, Jon Stewart - Wait, Open Thread, Rant of the Week, The Daily Show, TMC Meta, Whose Side Are We On Again? 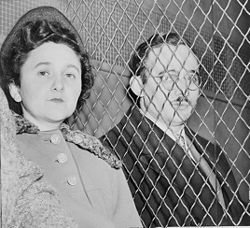 On this day in 1951, the Rosenbergs are convicted of espionage. In one of the most sensational trials in American history, Julius and Ethel Rosenberg are convicted of espionage for their role in passing atomic secrets to the Soviets during and after World War II. The husband and wife were later sentenced to death and were executed in 1953. The conviction of the Rosenbergs was the climax of a fast-paced series of events that were set in motion with the arrest of British physicist Klaus Fuchs in Great Britain in February 1950. British authorities, with assistance from the U.S. Federal Bureau of Investigation, gathered evidence that Fuchs, who worked on developing the atomic bomb both in England and the United States during World War II, had passed top-secret information to the Soviet Union. Fuchs almost immediately confessed his role and began a series of accusations. Fuchs confessed that American Harry Gold had served as a courier for the Soviet agents to whom Fuchs passed along his information. American authorities captured Gold, who thereupon pointed the finger at David Greenglass, a young man who worked at the laboratory where the atomic bomb had been developed. Gold claimed Greenglass was even more heavily involved in spying than Fuchs. Upon his arrest, Greenglass readily confessed and then accused his sister and brother-in-law, Ethel and Julius Rosenberg, of being the spies who controlled the entire operation. Both Ethel and Julius had strong leftist leanings and had been heavily involved in labor and political issues in the United States during the late-1930s and 1940s. Julius was arrested in July and Ethel in August 1950. By present-day standards, the trial was remarkably fast. It began on March 6, and the jury had convicted both of conspiracy to commit espionage by March 29. The Rosenbergs were not helped by a defense that many at the time, and since, have labeled incompetent. More harmful, however, was the testimony of Greenglass and Gold. Greenglass declared that Julius Rosenberg had set up a meeting during which Greenglass passed the plans for the atomic bomb to Gold. Gold supported Greenglass’s accusation and admitted that he then passed the plans along to a Soviet agent. This testimony sealed Julius’s fate, and although there was little evidence directly tying Ethel to the crime, prosecutors claimed that she was the brain behind the whole scheme. The jury found both guilty. A few days later, the Rosenbergs were sentenced to death. They were executed on June 19, 1953 in Sing Sing Prison in New York. Both maintained their innocence to the end. Only 1 upset yesterday (sorry Gonzaga), but don’t worry- We will crush Tennessee like bug (sorry Dayton). This Week with George Stephanopolis: The guests on Sunday’s “This Week” are: former Maryland governor Martin O’Malley; and Victoria Kennedy, the wife of late Sen. Edward Kennedy. The roundtable guests are: ABC News political analyst Matthew Dowd; former Michigan Gov. Jennifer Granholm; ABC News contributor and Weekly Standard editor Bill Kristol; and CNN’s Fareed Zakaria. Face the Nation with Bob Schieffer: Mr. Schieffer’s guests are: CBS News aviation consultant Capt. Sully Sullenberger; Intelligence Committee Chair Sen. Richard Burr (R-NC); Rep. Adam Schiff (D-CA); possible Republican candidate Mike Huckabee; Sen. John McCain (R-AZ); Sen. Barbara Mikulski (D-MD); former Sen. Chris Dodd (D-CT) and former Sen. Olympia Snowe (R-ME). His panel guests are: Dan Balz of the Washington Post; Manu Raju of Politico; Scott Conroy of the Huffington Post; and CBS News Congressional Correspondent Nancy Cordes. Meet the Press with Chuck Todd: The guests on Sunday’s “MTP” are a deep, dark secret this week. State of the Union: Dana Bash is this week’s host. Her guests are: House Speaker John Boehner (R-OH); Sen. Ted Cruz (R-TX); former NTSB investigators Charley Pereira and Dr. Alan Diehl; Kevin Madden and Ben LaBolt. Despite torrential rain, thousands lined the streets to view the funeral procession carrying Mr Lee’s coffin from parliament, where it has been lying in state, across the city. A state funeral attended by world leaders is now taking place, ahead of a private family cremation ceremony. More than half a million people – 12% of Singaporean citizens – visited Parliament House to see Mr Lee’s coffin, while at least 850,000 others went to community sites to pay tribute. It’s not so bad, it could be raining. Oh wait, it is. Bernie Ecclestone’s Formula One empire is hanging by a thread and really the best thing he could do for the sport right now is pack up his office (under the scrutiny of a Security Officer of course) and head for the parking lot. First of all Germany is off. Nürburgring is having financial trouble and can’t meet Bernie’s fees. Hockenheimring is unwilling to do so because Formula One is unprofitable for them and only drew 52,000 spectators last year (of a potential 120,000). Bernie is tearing up the contract for the German Grand Prix (or wants to, we’ll see) and ominously threatens that Monza is next. There goes his vaunted 20 race season, just like his 20 car field, but don’t worry- Bernie is sure it will all pass over. I’m sure he’ll find another Petro-Emirate with more bucks than brains to fill in. What it does mean is that Formula One’s reservoir of goodwill in Europe, its traditional heartland and the base of all of its teams, is thin indeed and Bernie’s senile delusions of challenging Football (the kind you play with your feet) are just that. And, since it would be irresponsible not to speculate, what will it mean for the Fiat (Ferrari) commitment to Formula One going forward to lose its home track or for that matter Mercedes (which has lost it) without whom most cars would be nothing but sculptures? The Red Bull/Renault dispute continues. Red Bull’s Team Manager has had some very unflattering things to say and thoughts being bandied about include Red Bull buying out Renault (at least the Formula One Engine part), Renault buying out Red Bull in whole or in part (Toro Rosso), or Red Bull and/or Renault leaving Formula One entirely. I give the money edge to Renault, They are after all a multi-Billion dollar automotive firm and Red Bull? Well, it’s a soft drink company. Why is this important to Bernie? Because Red Bull puts 4 cars on the track- 20% of the entire field. Without them you start the math at 16 when counting down to Bernie’s minimum contractual obligation of 14. Oh, and don’t think Australia isn’t pissed he could only track 18 and finish 11 at Albert Part. There has been a lot of speculation in the media over the past week, so I want to set out clearly that my sponsors paid the sponsorship fee related to the 2015 season in its entirety to Sauber in the first half of 2014. This was simply in good faith and to help the team deal with its cash problems at the time. Effectively, it was my sponsor’s advanced payments that helped the team survive in 2014. Sauber’s financial decision-making in this case is bizarre and makes no sense to me. I am not at liberty to discuss details, but Sauber paid significant compensation to avoid honouring the contract they had with me. Only in that respect can I be satisfied that my rights have finally been recognised and that at least some justice has been done. Supposedly ChemChina’s takeover of Pirelli leaves their Formula One commitment “unchanged”, but in this case “unchanged” means that they have a contract through 2016 that they intend to honor and no longer term deal has been reached yet. Oh BTW, Hards and Mediums. Three stop strategy unless it rains. Did I mention rain? Caused a half hour delay in Qualifying. Speaking of contracts, Hamilton is looking to ink a long term one with Mercedes. Speaking of Drivers, Alonso is back but he didn’t get to Q3 by a long shot and doesn’t look the same. Also he’s in a big dispute with McLaren over whether a ‘gust of wind’ caused his accident or his steering failed. Speaking of mechanical failure, Hamilton missed two practice sessions because his engine telemetry failed (there may be more to it than that). 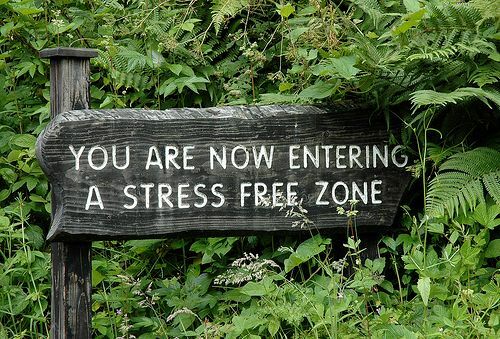 All in all it’s shaping up to be another fine season in Formula One because everything is always fine in Formula One. “Formula One has a major problem but the sport is putting its head in the sand,” he said. “Two thirds of the grid are struggling, and barely able to make it to the race. Right now F1 needs to have a good look at itself and decide what it is trying to achieve. The product is in need of a massive kickstart. Watson also took a sideswipe at Red Bull’s team principal, Christian Horner, who in Australia was outspokenly critical of the Renault engine. “What Christian said about Renault was outrageous,” Watson said. “Has the bloke lost the plot? There were some unnecessarily blunt comments about the Renault power unit. You should keep those remarks for meetings behind closed doors. Formula One’s commercial supremo Bernie Ecclestone has backed Red Bull’s call for action to rein in Mercedes’s engine advantage and make races more competitive after a one-sided start to the season. “They are absolutely 100% right,” Ecclestone said when asked about the Red Bull principal Christian Horner’s statement that the FIA should apply an “equalisation mechanism” to narrow the gap. Ecclestone said it was not a case of doing everything possible to stop Mercedes but simply to allow other manufacturers more flexibility. And you think Professional Wrestling is fixed.